Description: A strikingly handsome design captures the beauty of Ambra Siena Idalight and the stunning luster of appealing solid steel hardware, frame and decorative accents is featured in a Rusty Nail finish. Handcrafted in the USA. 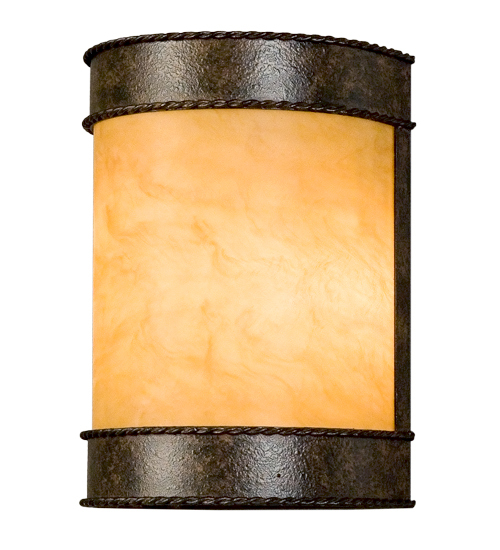 Custom sizes, styles, finishes and dimmable lamping are available. The 2-light wall fixture is UL and cUL listed.